Note: Today’s workout is in honor of the Law Enforcement Officers and Firefighters from our gym who competed in the epic Battle Of The Badges on Saturday, July 18, 2015, in the famous CrossFit workout “Fight Gone Bad.” Blast your way through this Chipper 3 times, resting up to 5:00 between each round. The goal is to complete each round in under 5:00. Jeremiah is Athlete of The Week! Congratulations (and welcome back!) 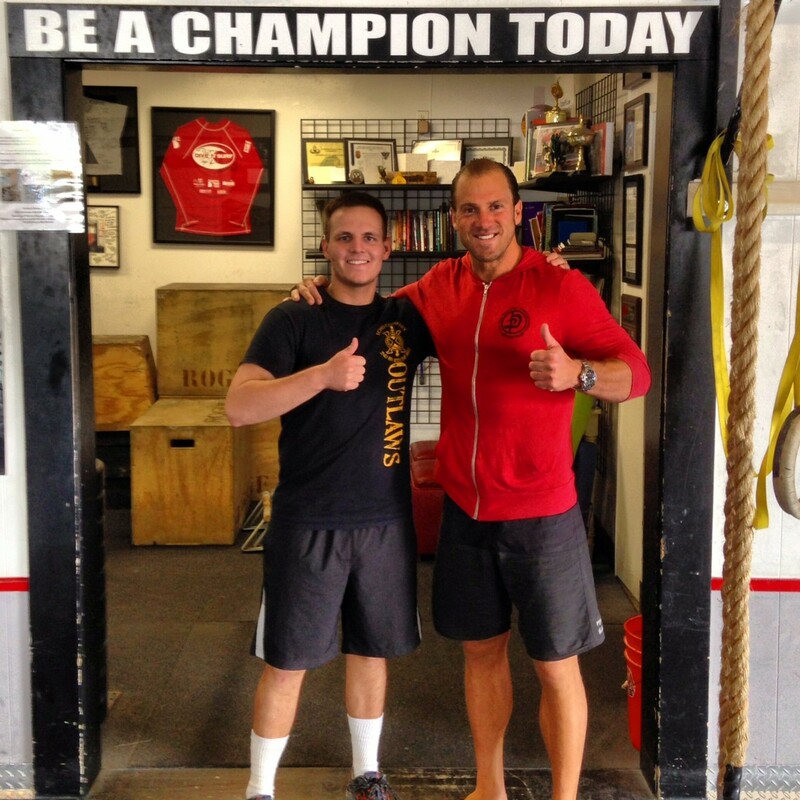 to Jeremiah who was recognized as Athlete of The Week at CrossFit Amundson. Jeremiah just graduated from US Army Basis Combat Training at Fort. Leonardwood, Missouri, the same training ground that Captain Amundson attended US Army Military Police School. Jeremiah excelled in “Boot Camp” and was recognized for his incredible ability in Army Combatives. Jeremiah is a Black Belt in traditional Taiwan martial arts and a Phase B practitioner in Krav Maga. Jeremiah’s goal in the Army is to graduate from the Army Nursing Program, and serve our Country as a combat Nurse and Lifesaver. Thank you Jeremiah for protecting our Country! Jeremiah will be back in Santa Cruz for approximately one-week, be sure to congratulate him on his success when you see him! Complete 1:00 At Each Station. No rest between stations. Note: Tonights LIGHT workout operates like the famous “Fight Gone Bad” workout. There is no rest between stations and every repetition counts as a point. Rest up to 3:00 between rounds and then repeat!